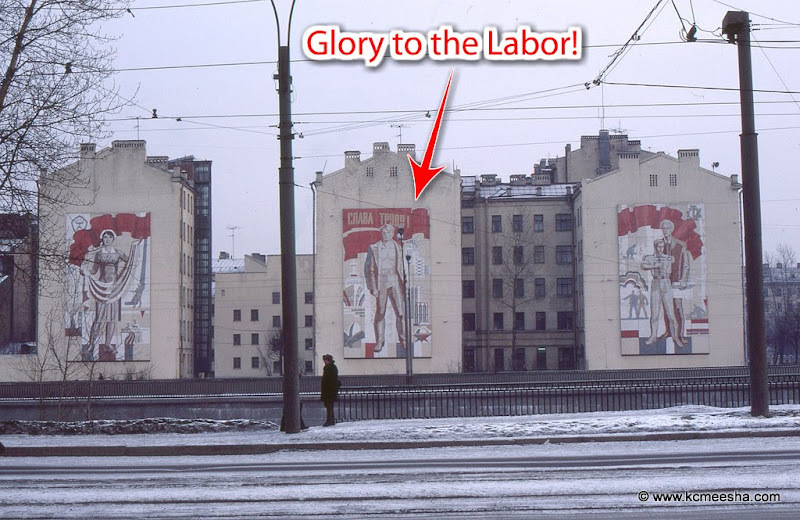 I wrote previously the propaganda surrounding the Soviet people at all the usual and unusual places. 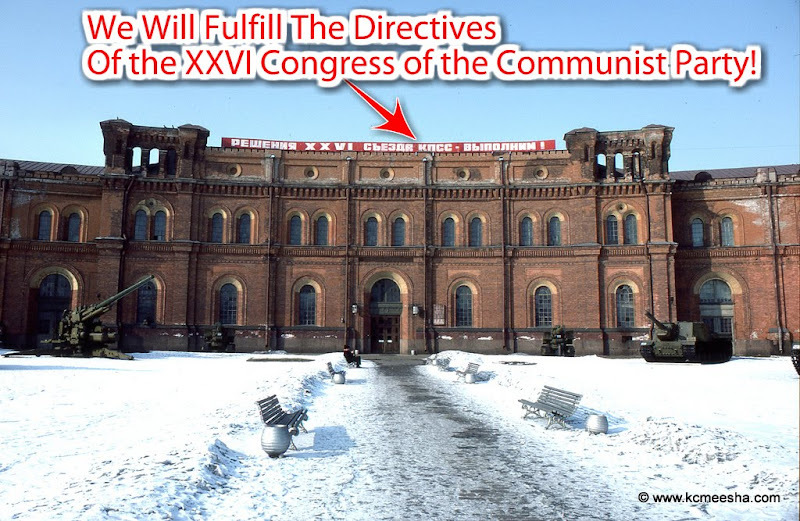 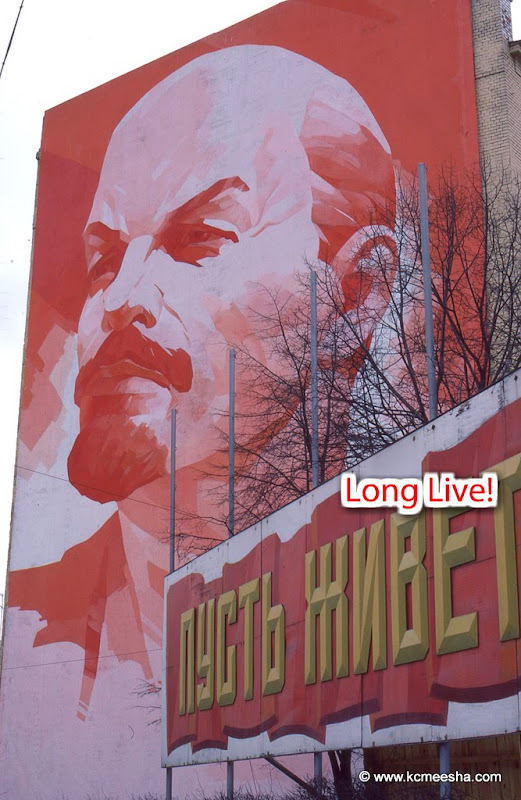 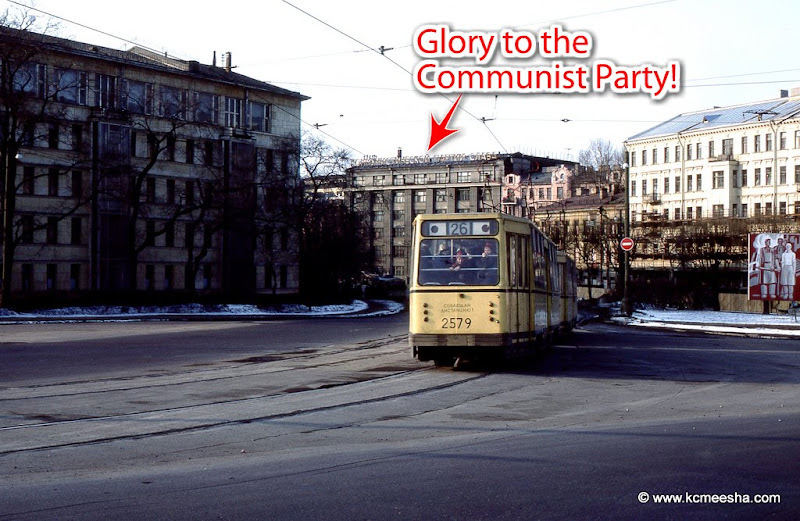 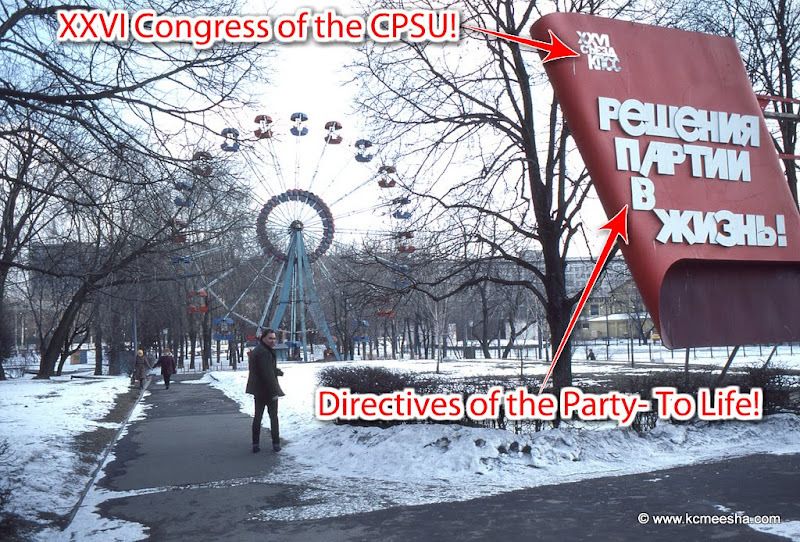 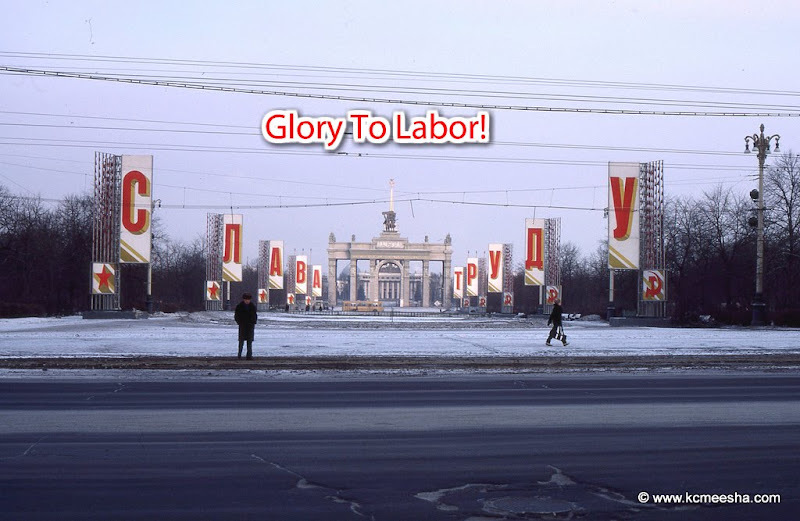 People nostalgically musing about the “olden days” when there was practically no outdoor advertisement in the USSR, forget about all the hammers and sickles, red banners, communist party slogans and whatever else was supposed to inspire us to keep building, fulfilling, laboring and rejoicing. 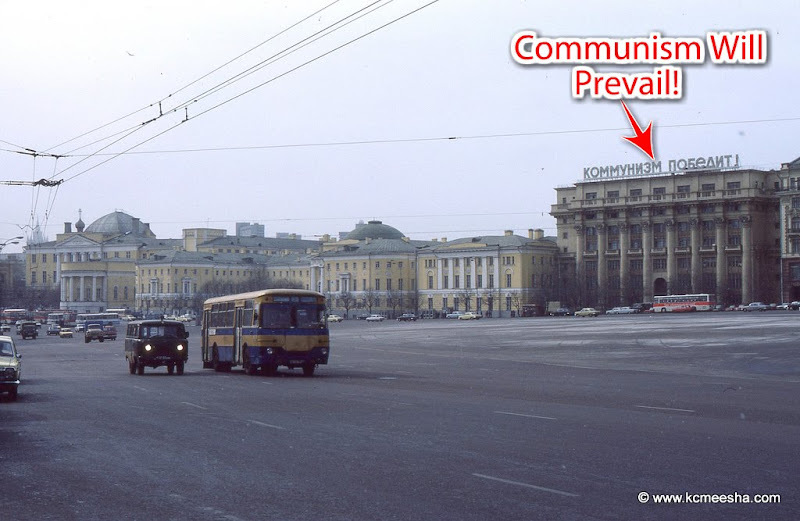 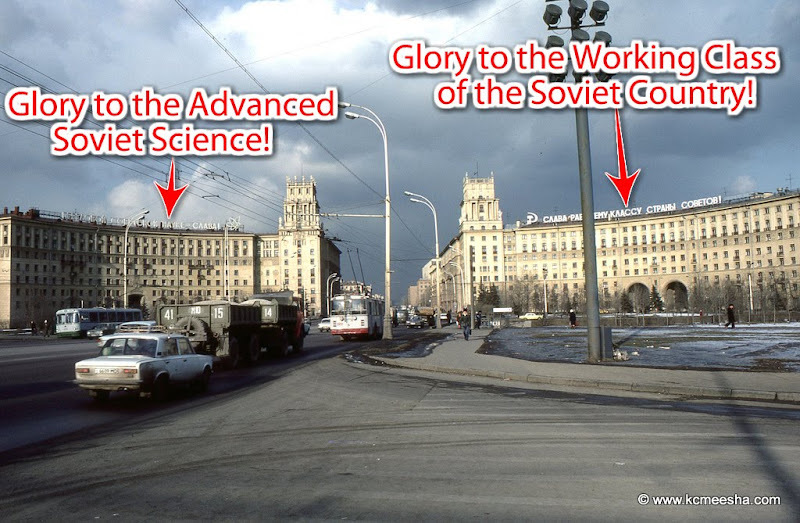 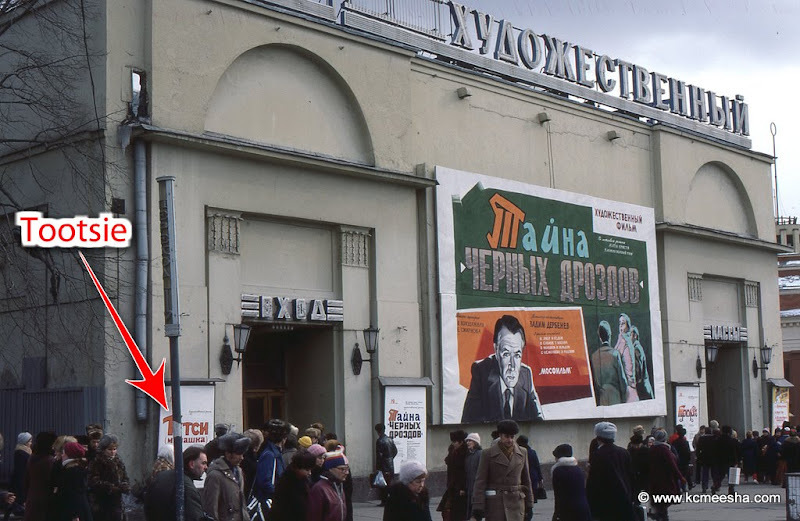 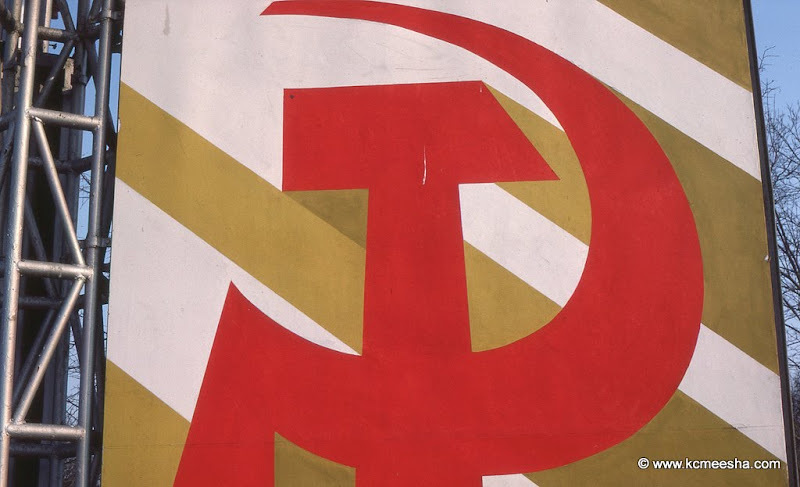 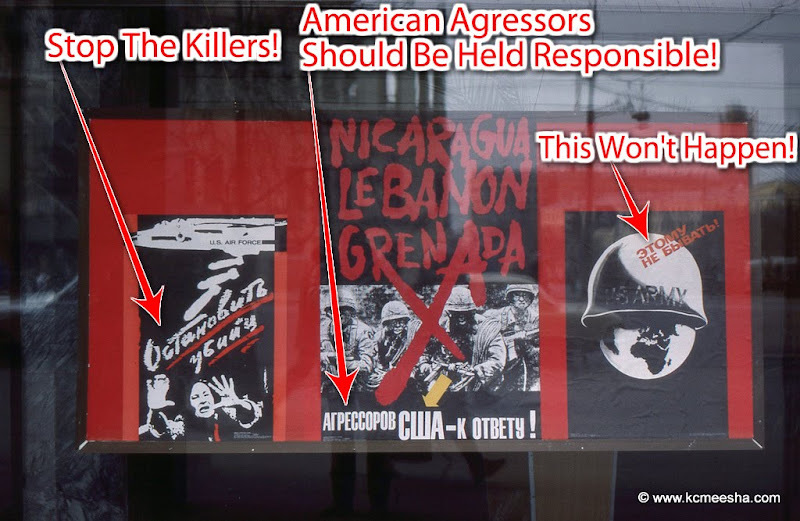 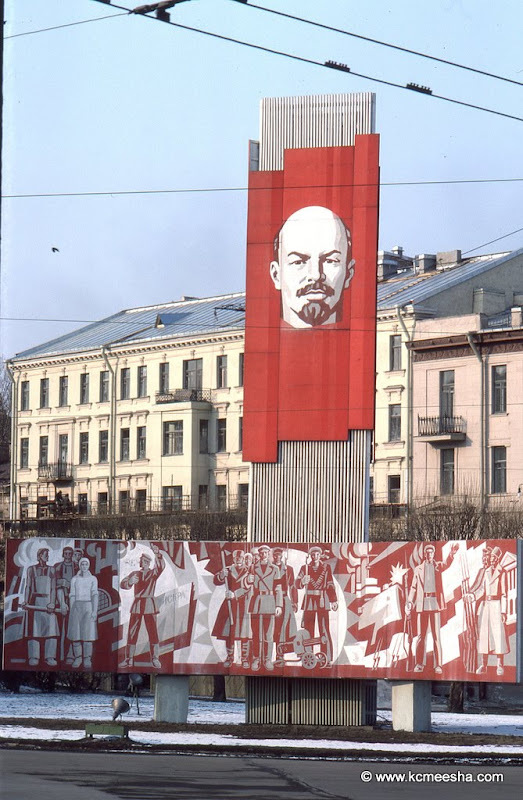 A recently posted set of photos taken by a Western tourist in the 1984 USSR has some great examples of the ubiquitous outdoor propaganda in Moscow and Leningrad. 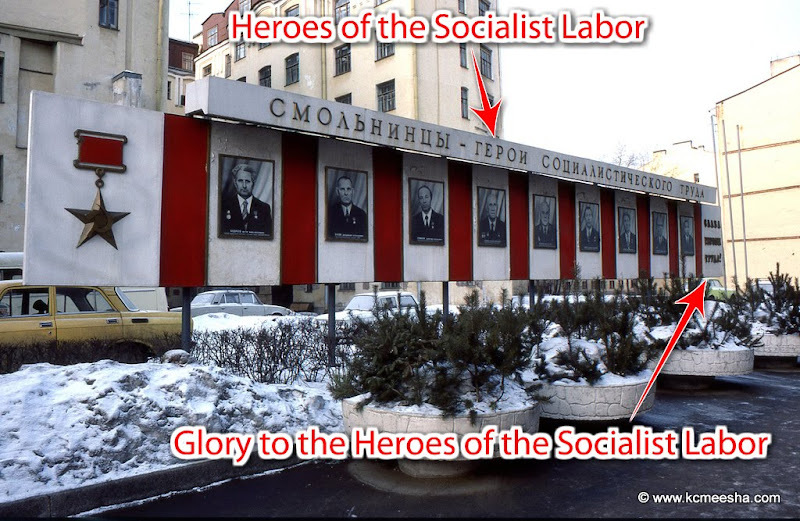 I added some translations to the photos that needed explanation and I recommend you take a minute to flip through the rest of the set in the slide-show at the end of this post. 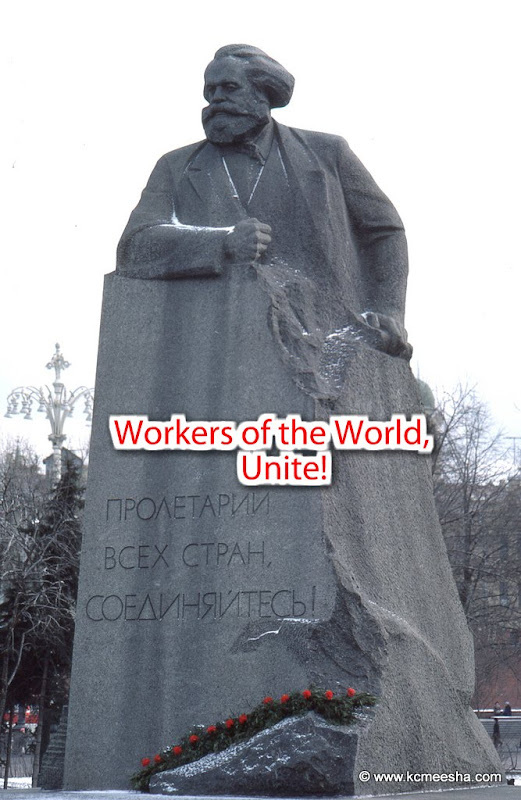 A stand honoring the best workers of a factory. 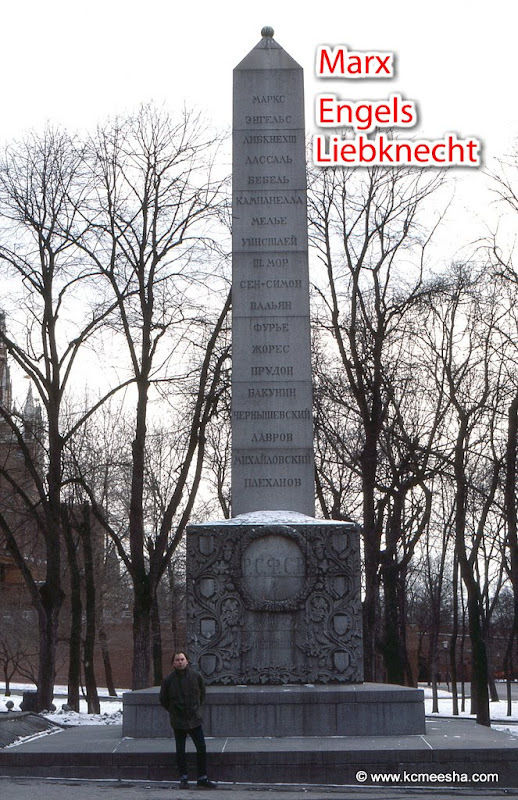 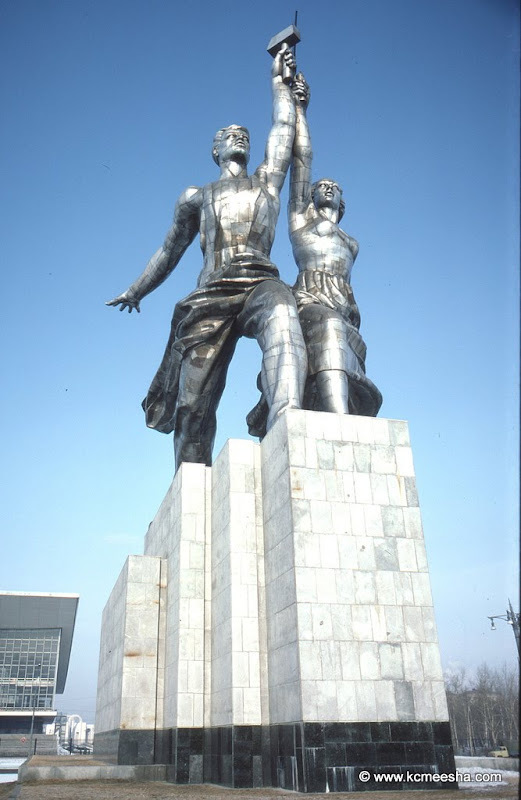 A monument to the socialist thinkers.